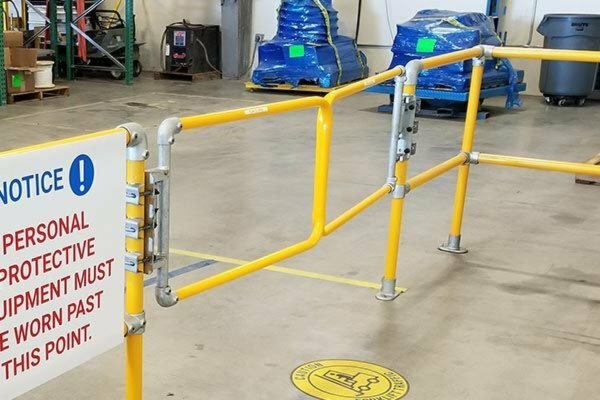 With a few simple tools, this safety gate can be cut on site to fit any ladder, railing, or access point up to 44-inches wide. 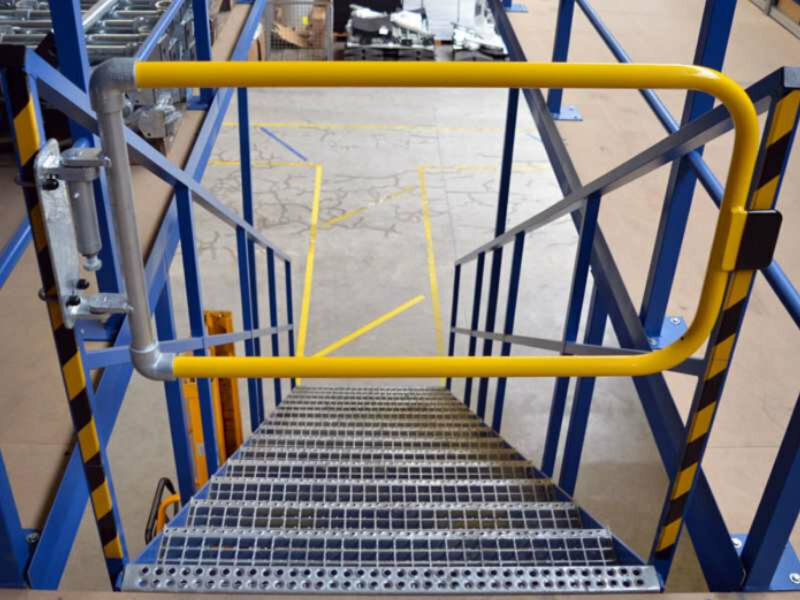 Available in galvanized and safety yellow finishes. 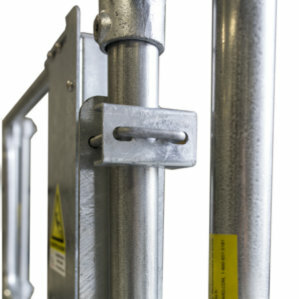 Standard size safety gates that can be attached to any standard size opening. Easy to install on ladders, railing, and access points. Available in galvanized, aluminum, stainless steel, and safety yellow finishes. 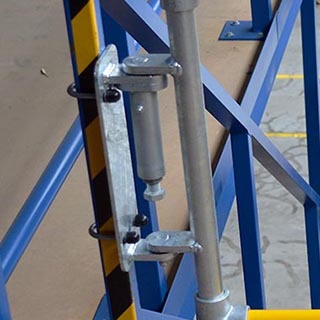 The extra wide safety gate can be attached to any railing, ladder, or access point. The extra wide gate is also a perfect fit when swing clearance is limited. Available in galvanized and safety yellow finishes. 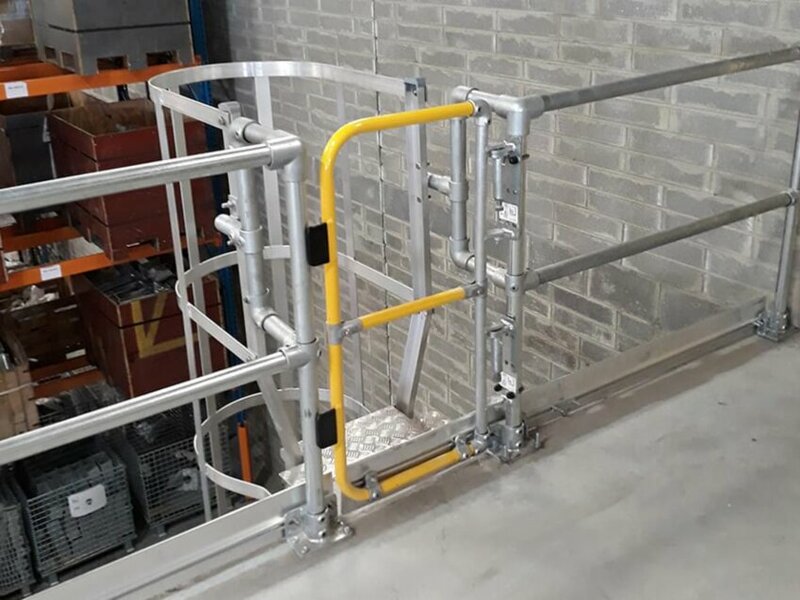 The full-height safety gate is typically used on ladders or access points of mezzanines where toeboard is required and a continuous three-rail system is installed. 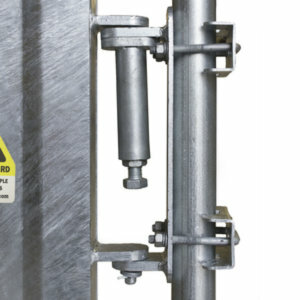 The full-height industrial gate features a spring-loaded, self-closing hinge for automatic closure. 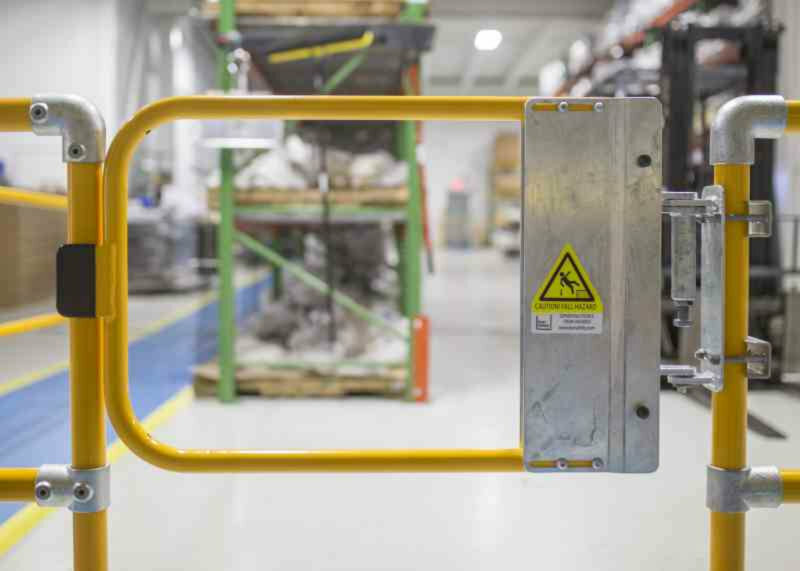 Kee Gate is a solid, industrial safety gate built to comply with OSHA requirements. The universal size allows you to easily retrofit the gate to any existing structure. 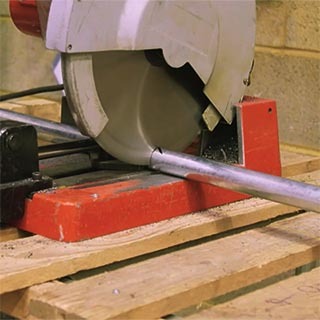 With a few simple tools, the Kee Gate can be cut on site to fit any size opening. A spring hinge causes the gate to close automatically. The Kee Gate's universal size allows it to be easily installed in any opening. 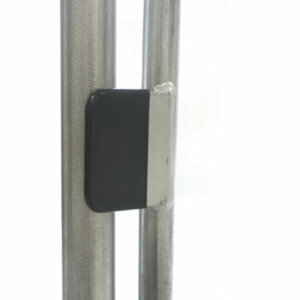 Kee Gate features a spring loaded self-closing hinge, keeping users safe and secure after entering through. Tested with the most rigorous environments in mind. 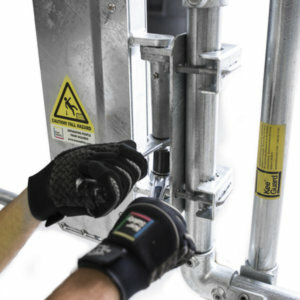 The adjustable design and modular components make installing 1 or 100 self-closing safety gates a simple, easy process. It's called an industrial safety gate because it's built to hold up under severe industrial conditions. The attachment bracket is made to work universally on most pipe and angle iron. Gate stopper is fully rubberized to prevent damage to the contact point. 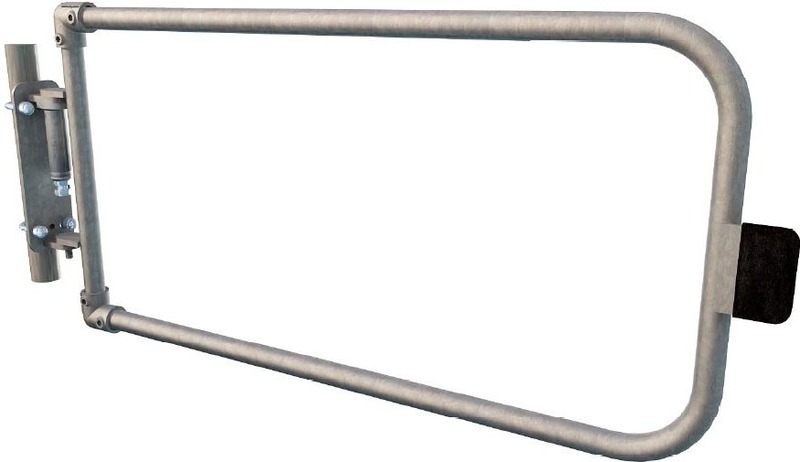 The gate spring is protected in a galvanized cylinder and has adjustable tension. Installation requires only a few simple tools. No cutting or welding are required. 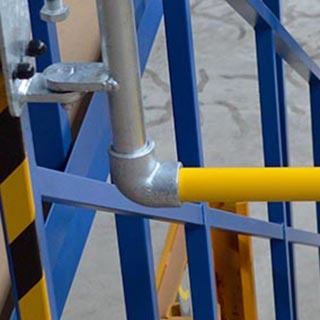 Our Fall Protection Specialists can help you choose the right safety gate for your unique situation or assist you in ordering large quantities of safety gates.